I came across a pin on Pinterest a while back of a newly married couple who took photos every season the first year they were married. I fell completely in love with the idea and started scheming of ways to make it work for me. 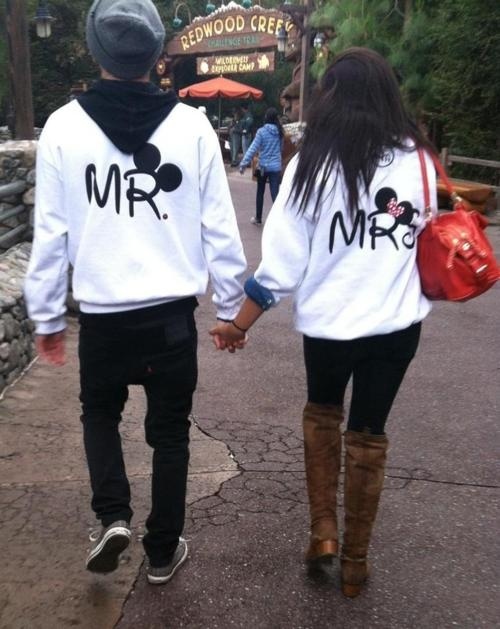 Chris and I are Disney people. I’m pretty sure that by now everyone knows that about us though. We go at least twice a year, got married there, and now have annual passes. 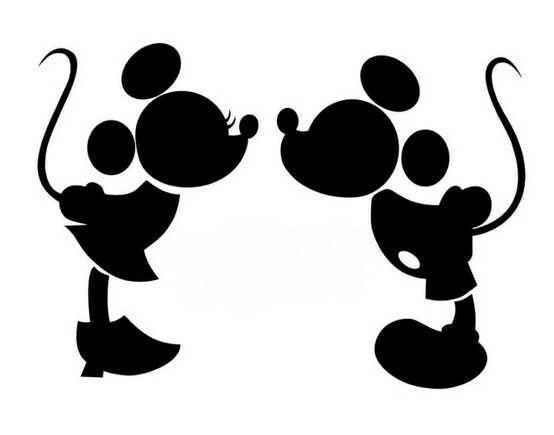 Since we’re pretty much obsessed, I thought it would be really cute to do our four pictures at the Disney Parks. And since we’ve spent a lot of time there this year, the idea just fit. First I had to look up what days the seasons started on, just to make sure I could make this project happen. Spring: March 20, 1:14 a.m.
Summer: June 20, 7:09 p.m.
Fall: September 22, 10:49 a.m.
Winter: December 21, 6:12 a.m.
We have our wedding photos that were taken in April so that could be our Spring photo. But, Chris and I did not go during the extremely hot summer months so I’m going to have to be a little creative with this one. Since Chris and I are leaving Friday night (the 21st) for Disney, I’m hoping that traffic will be light and we’ll be able to get to the parks early Saturday morning. My goal is to run in, take the picture, and then go back to the hotel for a bit. I’m hoping that works out the way I want it too! But, I want to do something cute for the picture. 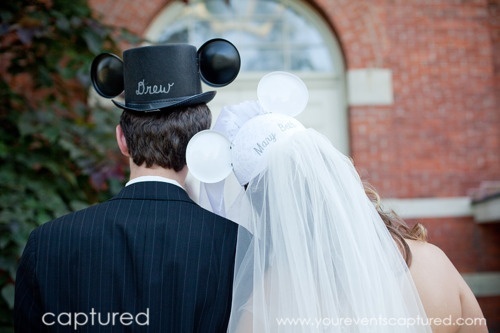 In our spring photo we’re wearing the Bride and Groom Disney hats, and I was thinking that maybe we could wear different hats in each picture. 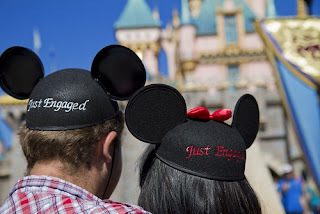 However, those hats cost at least $20 a person, even more if you get them personalized (which I want to do!). My question is, what should I do? I’ve found some really cute ideas on Pinterest but I can’t pick which one I like the best! Can you help me decide? Put this on the front or back of a t-shirt? engaged in front of the Pirates ride! out but this would be cute on a t-shirt! I need some help deciding because they’re all such cute ideas! You could use your bride & groom ones each spring, and do the sign thing again, with the date and all. The shirts are cute too! I'm no help – sorry. lol. 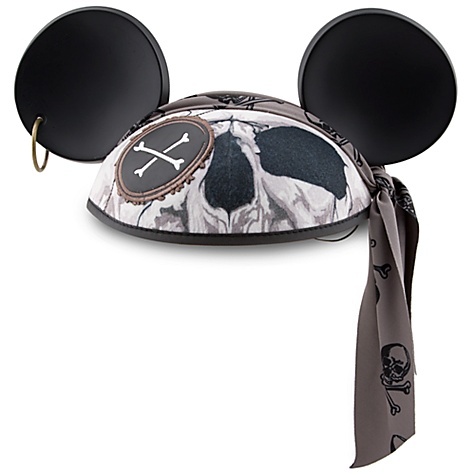 I love the Pirate hat idea! It just seems to fit. 🙂 And I love the idea of using the hats every spring and summer. I just wish we had thought of all this when we first got engaged!